During our Annual EMS & First Responders Appreciation Dinner tonight in Hot Springs, AR, LifeNet Paramedic Terry Childers was honored for being selected as a Star of Life. 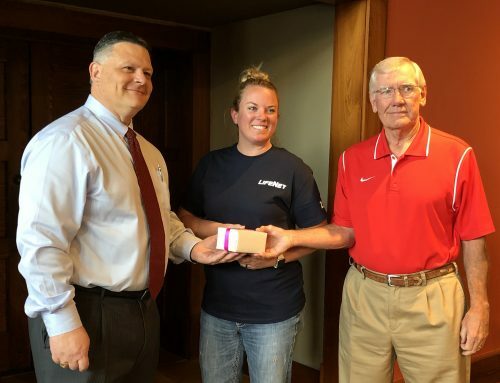 He was presented the award by LifeNet CEO David Baumgardner and Board Member David York. Terry originally decided to become a paramedic because he thought it would be an exciting and fast-paced career. After 27 years in the business, he affirms that he was right. 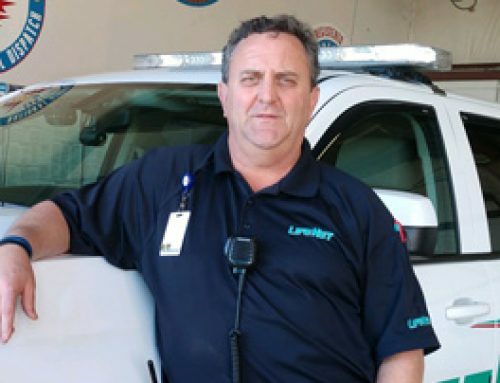 Terry has served patients, their families, and his coworkers in many roles over the years, and says he has learned from some of the best providers in Arkansas. 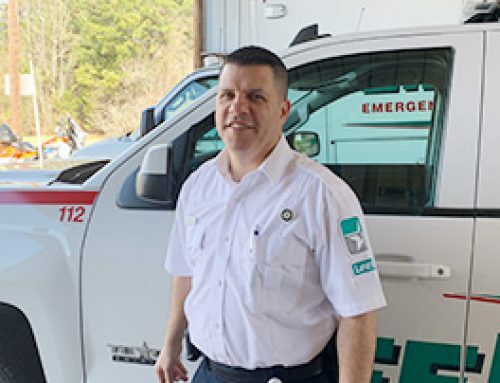 Terry has managed both ground and flight programs, served as educator, and functioned as mentor to innumerable EMS professionals over the years. When not at work, Terry finds time for balance in life by relaxing on the lake. He is also renovating a 103-year-old house and, during breaks, enjoys sitting on his front porch with Leroy, his bulldog, who is a celebrity of sorts among his EMS community. The American Ambulance Association (AAA) honors EMS professionals during its annual Stars of Life celebration every year. Only about 100 EMS professionals from across the nation are selected from their EMS service to receive the honor every year. The Stars of Life program celebrates the contributions of ambulance professionals who have gone above and beyond the call of duty in service to their communities or the EMS profession. Stars of Life recognizes the dedication of these heroes while shining light on the critical role EMS plays in our health care infrastructure. 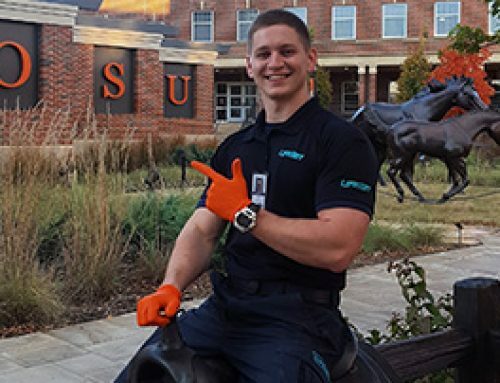 During his time in Washington, Terry will meet with members of Congress and congressional aides to discuss legislative issues critical to emergency medical services.